Example I do not understand, “what is two plus three”, instead just type “2 +3” (without the quotes) and hit enter. I am not good at spelling. Besides you are not gonna type that big English sentence when you can just say “2+3”, Right? Note: I can answer only the below english language commands. 2) I can not do linear equations with more than 1 variable. I can only understand linear equations using basic arithmetic operations (+, -, /, *, ^). 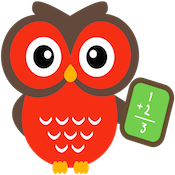 + for addition, – for subtraction, / for division, * for multiplication, ^ for exponent and ! for factorial. Also note % is a symbol for modulus or remainder. I will not understand trigonometry, log or other functions in an equation.Also I can not understand if the variable name is anything other than “x”. We will add and improve this functionality in future. 4) I cannot handle any voice, video or image attachments as input. 5) I cannot understand any symbol that you can not find on a regular QWERTY keyboard. 7) Permutations, Combinations are too heavy for me in this version and will be added later. Note that the default is radians. Write the name of the function followed by the value that you need to find within parenthesis. Note the default base is the natural “e”. Specify the keyword log followed by the value in brackets. log(value,base). Base need not be specified in case of natural log values. where a,b, c and d are numeric constants (real numbers) and x is the variable that needs solution. where a,b, c, d and e are numeric constants (real numbers) and x is the variable that needs solution. Please equate your variable expressions to x to simplify them. Note: Equate your expressions only to x and no other variable. Hence if your expression itself has an x then substitute it with another variable before typing it in. Also note that any radicals or exponents will be resolved and mathematically evaluated. You can also do physics (example electric power consumption) calculations using various units. Refer some examples above. The following physical constants are included. See Wikipedia for more information. Note that the values of loschmidt and molarVolume are at T = 273.15 K and p = 101.325 kPa. The value of sackurTetrode is at T = 1 K and p = 101.325 kPa.